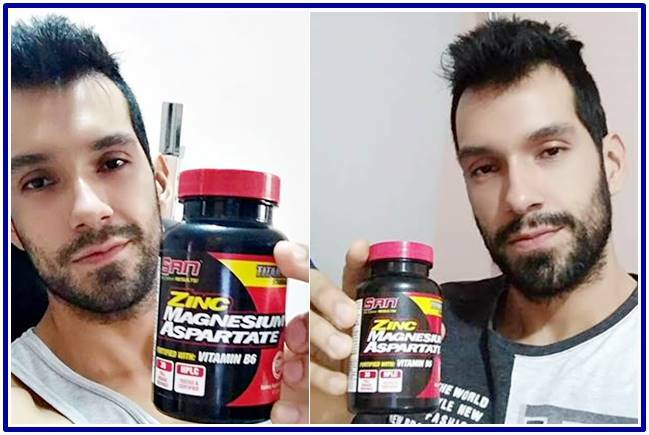 Home magnesium nutrition supplements vitamin b6 zinc ZMA What is ZMA and what is it good for? What is ZMA and what is it good for? What is the porpuse of taking ZMA? You may have heard from a fitness instructor that you should start taking ZMA, or maybe you have also heard from a deportologist or just read it in a magazine or website that deals with sports nutrition and training topics. In simple words, taking ZMA helps your body receive and use the properties of the micronutrients it brings, which in this case would be Zinc, Magnesium and Vitamin B6, which contribute to the correct functioning of your body. But the most important thing is that they have a lot to do with the part of improving sports performance and post workout recovery ... later on I explain why. Side effects of ZMA. Taking ZMA has no side effects if you follow the recommended dosage on the back of each pack, since each brand or laboratory has its own dosage. However, if consumption is exceeded, slight diarrhea, dizziness and perhaps nausea may occur. What does the ZMA contain and what is the purpose of each of its components? Well, as I mentioned, each ZMA of each brand brings Zinc, magnesium in its aspartate form (magnesium aspartate) and vitamin B6. Each of these micronutrients fulfills several functions in the body ... moreover, on zinc and vitamin B6 these are usually relatively inssuficient in the diets of the vast majority of people. At the same time, these micro nutrients, among others, are often spent heavily during high intensity workouts and even more in the processes of muscle recovery, nervous system and other tissues, to keep each person at the same time in optimal conditions and achieve the desired physiological and aesthetic adaptations. I will cite what is written on the back of the ZMA jar from SAN Nutrition Corp., which I have felt has a good effect on me. However, as my diet is very varied and complete, I do not feel a huge change. At least it did not cause me any discomfort like the Opti-men by the ON brand, which brings not only Zinc, magnesium and vitamin B6, but also another great variety of vitamins, minerals, amino acids and herbal extracts. What is the ZMA good for? "ZMA is a synergistic combination of zinc monomethionine and magnesium aspartate in amounts tested by several studies, designed to maximize the absorption of these components and thus reduce post-training recovery time. Zinc plays a major role in regulating cellular growth and tissue repair. In addition, magnesium is extremely essential for the conservation of electrolytes, energy production and normal muscle contraction. Vitamin B6 has the main function of influencing protein synthesis. Since physical activity can increase the need for these two minerals and this vitamin, taking ZMA can be a great help for anyone who performs trainings or practices high-intensity sports." How to take the ZMA? Well, the brand I consume which I already mentioned (the one whose jar shows in the previous image and the same image), recommends a service of 3 single capsules preferably on an empty stomach and before going to sleep. Well, I previously took the ZMA from the ON brand, but it was much more expensive. I decided to give SAN Nutrition Corp.'s ZMA a try and it really was no difference at all. That is, I felt good taking the ZMA from ON, and with the brand SAN Nutrition Corp. as well. It is noteworthy that I tried consuming them before going to sleep, but I did not feel well, it generated a kind of bad feeling in the stomach. For this reason I decided to divide the 3 capsules consuming them in each of my main meals (1 with breakfast, 1 with lunch and another with dinner). NOTE: Since then I opted only to consume two capsules per day as I mentioned, my diet is very varied and relatively complete. However, in every ZMA jar of any brand it is recommended to avoid taking it with foods that are rich in calcium. For this reason I always try not to combine dairy products with my main foods, which is where I use ZMA capsules. Well, in fact it is very rarely my dairy consumption. Calcium is obtained through rice, animal proteins, almonds, vegetables, oranges and other fruits, etc. The problem with dairy products is that they usually contribute excessive amounts of calcium, proteins and sugars ... that in some people, like me for example, often cause discomfort. But beware, if you do not dislike dairy or do not feel any discomfort by taking them, then keep consuming them because they are a source rich in macro and micro nutrients. Although if you plan to consume a brand of ZMA, I recommend you do it with a relatively empty stomach (whatever the time of day) or next to foods that have little or no calcium, for example a normal meal: rice, chicken and salad Of course, these foods contribute calcium, but not in as high quantities as a single one could be provided for example a glass of cow's milk 200 mL). Take this supplement only if you practice high intensity sports or training. For example, for people who practice crossfit, calisthenics or traditional weight training, it may be a good option to enhance post-workout recovery. You can also choose to take it if in your diet you notice a deficiency of zinc, even if you do not practice high intensity training (although ideally if you could do so for both aesthetics and health).